Klayman Explains Why He Must Be Appointed Special Counsel to Take Down Mueller and Restore the Rule of Law! 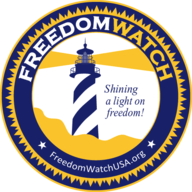 Go to www.FreedomWatchUSA.org to Sign Petition! URGENT: PLEASE SEND AND RETWEET TO FRIENDS!